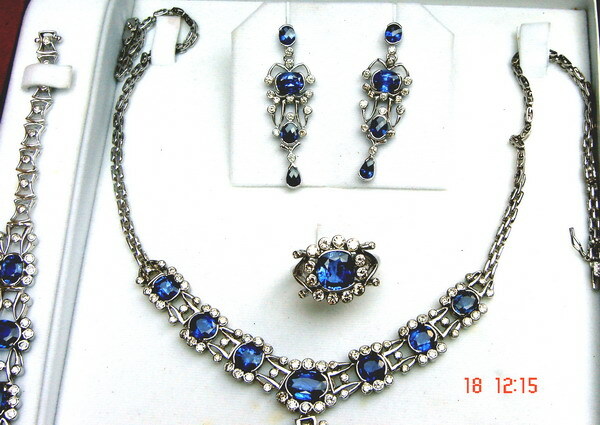 Ceylon Blue Sapphire Gemstone Jewelry Sets- From our sponsors. 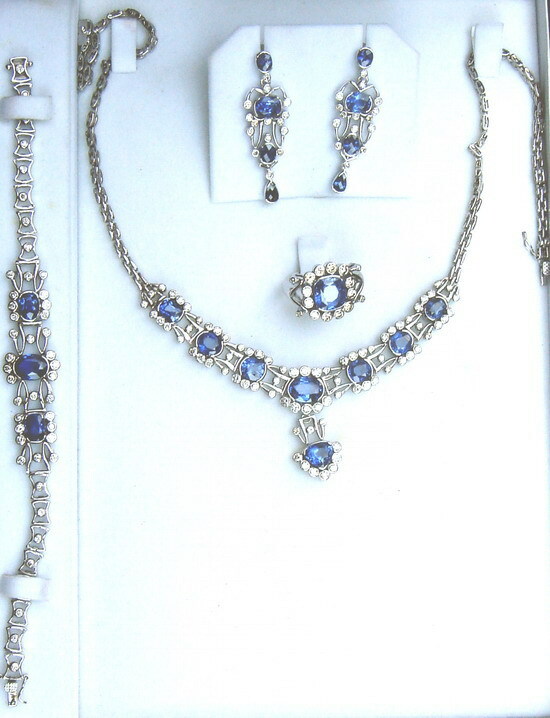 Complete jewelry set with four components, made up of large high quality Ceylon (Sri Lanka) blue sapphires and diamonds, all set in 18ct white gold. The Complete Jewelry set, symbolizes the ultimate perfection of craftsmanship by the traditional Sinhalese Jewelry Craftsman of Sri Lanka, whose intricate skills had been passed down from generation to generation over a period of two millennia. The set surpasses all other similar creations by renowned manufacturers from different parts of the world, for it's sheer beauty and intricate design, and would be an ideal gift for a loved one, to be cherished for a life time, and without doubt a safe investment for the future. The main components of the set are very high quality Ceylon blue sapphires and sparkling diamonds, all set in 18k white gold. (i)The Necklace consists of eight large Ceylon blue sapphires of very high quality, each surrounded by sparkling diamonds. (ii)The bracelet consists of three large Ceylon blue sapphires of very high quality, and are also surrounded by diamonds. (iii)Each ear ring is made up of four large Ceylon blue sapphires, also surrounded by diamonds. (iv)The ring is a cluster type consisting of a single large Ceylon blue sapphire in the centre surrounded by diamonds.